Would you like a cookie with that? Cookies, data harvesting, even people-tracking is increasing on the apps we use every day. Researchers from the University of Oxford found that 83% of all free apps on the Google Play Store share your data with Google. Forty-three per cent of those apps then shared data with Facebook, plus other firms such as Twitter, Microsoft and Amazon. We recently attended a Technology for Marketing event in London and were amazed at how blatant the business of data-gathering is. This is an industry that makes no effort to hide the increasingly elaborate ways they target consumers and convince them to part with their cash. And if consumers aren’t paying, then their personal information is just as valuable. It’s just basic information isn’t it? By using websites and apps, we agree to give over our data. But how much information are we really handing over? Now you may think that this is all pretty reasonable in exchange for making use of their service. But does your information stay with them? The online advertising business is worth more than £45bn per year in the US alone, so it’s no wonder marketers want a slice of this pie. Have a look at this BBC story on mobile app data sharing. Any company is going to want to make sure that they give you the very best experience when you’re using their site or app. They want to know what doesn’t work and what needs adjusting. But you’re worth more than that. Your information and data on the things you search for, view or buy are worth a fortune to people who want to sell to you. That information has a price and large businesses will pay handsomely for it. Information that you have freely given over can now change hands for cold, hard cash! Does the above actually mean that they can share your data with anyone? But me:now is an app. What information do you collect? It’s a very fair question and like Groupon we’re very up-front about it. Nothing – not a single thing! 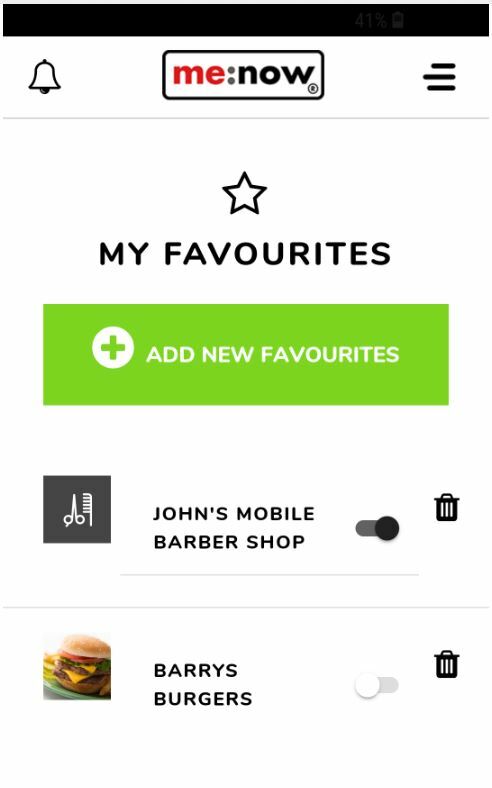 If you create an account so you can follow your favourite business (the whole point of the me:now app). Email address (this is provided by Facebook if you choose this method of login). Password – only if you create an account with your email address, we don’t have your Facebook password. Device-specific details so that we know who to send notifications to when your favourite business says they are available. The same as getting an in-app notification. Location details to show businesses near you, but only with your consent. Telephone number – so that customers can contact you. Payment details for the premium tier are kept by our payment provider Stripe – not by us. Nobody. Not a soul. And why should we? We don’t even share customer details with the businesses that are registered with us. It’s your decision if you want to contact them. You see, we believe that you, the customer, should be in control of which adverts you receive. 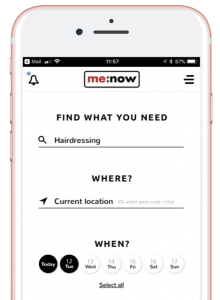 The me:now app was built to give you a choice as to who you want to receive adverts from, namely those businesses that you know and like to use over and over. Not someone you’ve never heard of selling the latest and greatest snake oil. Plus, you shouldn’t need to be a technical genius to turn these notifications on and off. So we put it in your favourites list with a slider, so it’s nice and simple. We should be pulling adverts to us, not having them rammed down our throats. As long as our personal data is being shared or sold on, this practice will continue and it needs to stop now. ← Helping small business: is it time to look to the older generation?